Throughout our existence, we all experience music in some way or another. Some music impacted others for them to have careers or others listen to music for their own entertainment. In the early years for most of us living on Earth, people are exposed to music from our parents jamming out to their tunes or your siblings busting out their own music. Whatever the case; we all have listened to music as we grow and adapt to that during our adolescent years. Every festival, party, or family reunion has music but most of the time you mostly hear the main bops or party anthems you usually hear at an event. You feel the vibe of the music, the people dancing on the floor, the vibrations hitting your body, but sometimes you hear that one song you don’t know; but like it. Throwback or nostalgic music always hits people at their core when they remembered jamming and bopping out when they were kids and hear it once more. 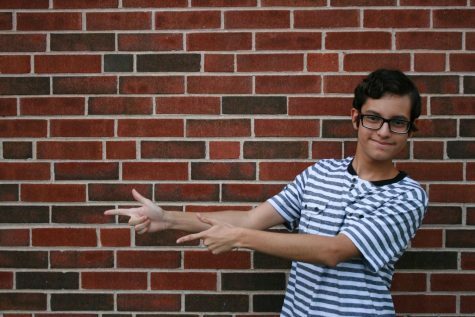 “I used to listen to a lot of Rihanna, P!nk, Katy Perry, and a lot of variety of beats back then not the same constant rap beat today,” said student Elliott Delgado. The good old jams keep coming back with celebrities like Rihanna, P!nk, Katy Perry, or any other artists that still have long living legacies. However today many singers are utilizing more repetitive type rap beats. “My parents played a lot of Rock but also early 2000s pop,” student Gabriella Angshed stated. As music evolves, so does the person that listened to music during their childhood. “I will always rock out to 70s music and upbeat, poppy type things and there’s no meaning and that’s the fun part,” said student Gracie Gracia. A go-to part of music is having fun while listening to your tunes, whatever mood you are in. “A lot of early 2000s music and it reminds me of the days that were easier and fun,” stated Angshed. Music can move people for different reasons and how music can impact lives for some. “I’ll say I resonate with hard rock because it’s extreme music and although I’m calm on the outside, on the inside I’m aggressive and wild and when I listen to music it helps me pour out my intensity,” Delgado said. The different vibes in music help control different people’s moods and ease the pain for others. Music is a coping mechanism that negates pains or pumps someone up if they’re in an excited mood. 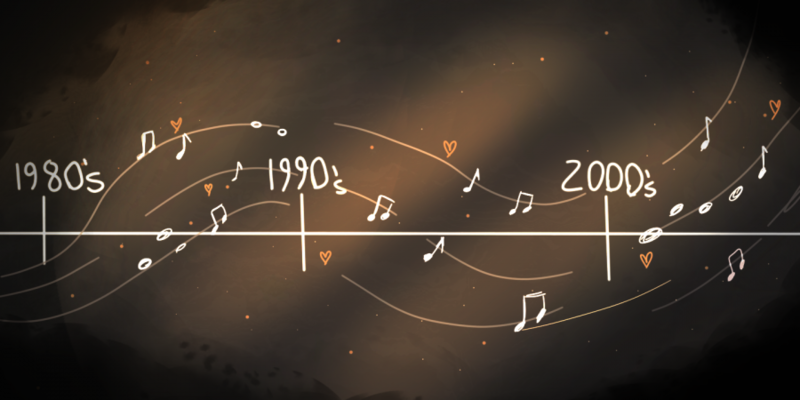 The difference of music throughout the years also have something to look forward to, each decade as some new beats, rhythms, tracks, harmony, and pitch. “Old tunes of course because I love that vibe and groove! The old tunes are better because it has different types of beats and instruments at different tones,” Delgado claimed. The old feel for music back then has always gotten back up with people nowadays. Parties or festivals have that nostalgic type of music you remembered listing to as a kid, and having your special playlist for your throwback music is always a great thing relieving back to. “I prefer my new tunes. They definitely evolved since like 10 years ago. I feel like it’s really low-fi and upbeat. But I still listen to my old playlists of course,” stated student Zaina Ali. Refreshing beats for others on the spectrum love their new updated music but still reminisce back to their cherished beats. “I feel like it depends on what exactly I listen to. There are a lot of music artists who are only singing because they are already so famous. But then stuff like EDM or pop have become much more fun and more experienced. Also, rap just keeps on becoming better and better,” Ali said. Many have their preferences in their music and see what other genres have to offer. “I feel like the music is so repetitive nowadays and it’s annoying. And the only genre you hear is rap music and rap is great up to a certain point. But I would love to hear a variety of different genres of music,” Delgado claimed. From this student’s perspective, rap music is too prevalent and getting less interesting. There at times are monotonous, irritating beats from some of today’s music compared to early music in the 2000s or ’90s with more hip-hop, rap, and R&B flavor. “‘Rise Up’ by Andrea Day, ‘Mr. Brightside’ by The Killers, and definitely ‘Never Gonna Give You Up’ by Rick Astley, of course. That’s a fun one that follows me everywhere,” Ali said. “‘Titanium’ by David Guetta ft. Sia, ‘Just Give Me A Reason’ by P!nk ft. Nate Ruess and ‘Dance Without You’ by Skylar Grey,” said Delgado. “A lot of early 2000s pop, cupid shuffle, Maroon 5, and Imagine Dragons,” Gracia stated.